We may not be able to choose the events in our lives, but we can always choose how we react to them. Insular Life’s 2014 “Magandang Araw” Campaign is around this centerpiece. By accentuating the positive, this campaign intends to spark a nation of positivism by doing a good deed everyday and paying it forward to spread goodness. 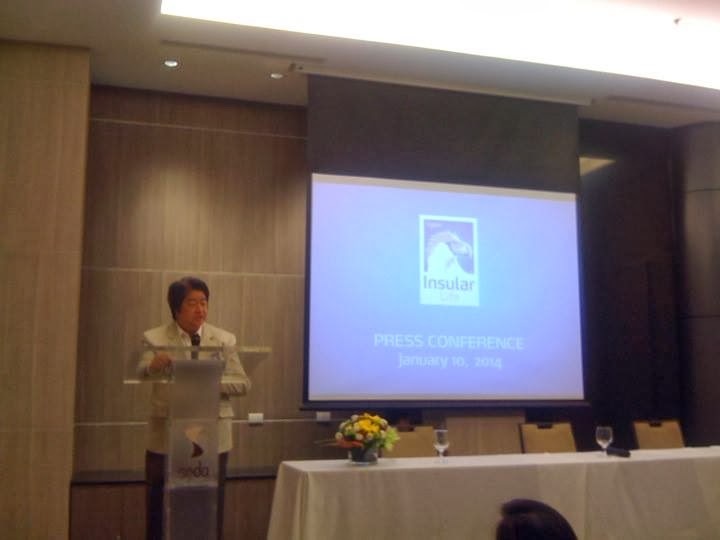 Insular Life officially launched its advocacy in a press conference at the Satin Room of SEDA Hotel last January 10. 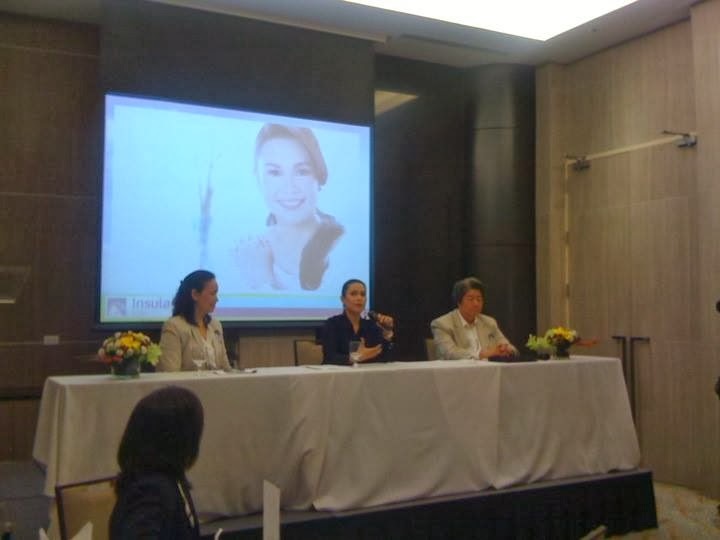 The event started with keynote messages from Mr. Jesus Alfonso Hofilena, EVP Head of Sales and Marketing, and Ms. Amelita F. Tamayo, FVP & Head of Marketing and Agency Support Division. In a world full of uncertainties, an insurance coverage gives us leverage to continue on enjoying a good quality of life despite the odds. Insular Life sees the work it does as something that enables the organization and its agency force to reach and help out Filipinos secure a better life by planning and investing for the people they truly love. Securing an insurance offers you a hedge against fire, or any disaster that may strike. commercial insurance can be the difference between staying in business or going bankrupt. Others such as health insurance will help you sleep more soundly, knowing that no serious illness can cause you to lose your home. In any unforeseen event or untimely demise, the insured’s beneficiaries will be financially secured to start anew and go on with their lives. An insurance policy can replace lost income and money, help restore destroyed property, provide protection against hospitalization expenses and more. Insular Life’s first celebrity endorser, Ms Lea Salonga, is the beautiful voice behind “Isang Magandang Araw” song that has been composed to promote the advocacy. The song talks about keeping a hopeful and optimistic view of the future. 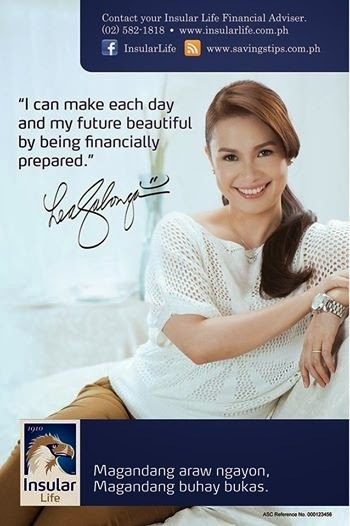 Lea believes in securing her child’s future by investing in insurance. It is an integral part of her financial plans. She shared that though her mother-in-law’s untimely death caught them by surprise, her husband future was well-taken care of by his mom. Insular Life has lined up a lot of activities to promote the positivism movement this 2014. Go visit the site and participate in the weekly challenges to do good deeds. Gift certificates and out-of-town trips await the Positive Movers. Do good, feel good and spread goodness wherever you go. I've been meaning to purchase a policy for myself, but never got around to buying one because I'm not sure which insurance company is the best. I will definitely look into Insular Life. Now is a good time to invest in your future. I'm Insular Life can give you a lot of investment options. I agree, it's really our responsibility to take care of not only ourselves but the future of our family too. We never really know what the future holds so it's best to prepare as much as we can. 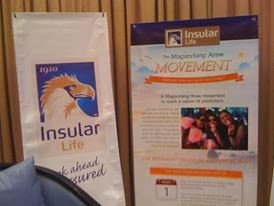 I had insular insurance during my first year of work in the Philippines. But I transferred in another company the following year. I lost track of it. I was also very young then to know the importance of it. Insular life delivers a strong and good message in their campaign. I've met with a couple or so insurance agents in the past but never got around taking one. Yeah, I think it is very practical especially nowadays when you'll never what might happen tomorrow. Hmm. I think I might just take my bets on Insular :) awesome campaign!